If you’re ignoring your dental website’s page speed, then you’re losing potential patients because they’re ditching your site before they’ve even learned anything about you and your office. You need to watch this short video and find out why your site’s page speed (like the time it takes to load on desktop and especially mobile devices) can both negatively and positively affect your dental SEO efforts. Danny, Golden Proportions Director of Web Services, will show you why your performance budget, optimization, and caching are absolutely crucial to having an effective website and dental SEO. Your performance budget has nothing to do with how much your website costs, it’s about how much money you set aside to ensure your website to make sure it’s fast. Find out how a fast dental website is going to make your phone ring with more new patients than if you’re still advertising your business with a dated site that was built even just a few years ago. Do you know why your site should take no longer than three seconds to load and why it should be less than three megabytes? Press play and get answers and solutions to the dental website and SEO problems that have been plaguing your practice for way too long! If you’re even the tiniest bit unsure about your dental website’s performance, watch this video. It’s short and packed full of helpful tips. When the video ends, don’t forget to check out our other videos. They feature FREE tips and tricks that are essential to growing your practice presence in your community and online. Follow us on social media to join in on the fun, dental marketing discussions. Danny: 00:00 If you’re building a new website or optimizing your current website, one of the things you can do to make your website immediately better is increase page speed. Hi, I’m Danny, Director of Web Services for Golden Proportions. A couple weeks ago we talked about dental SEO and I believe page speed is one of the biggest things you can do to increase your website performance. Let’s get started. Danny: 00:26 In this week’s video, we’re talking about three things, performance budget, optimization and caching. When I talk about performance budget, I don’t mean dollars and cents. I don’t mean how much your website costs. I mean the budget you give yourself when working on your project to make it fast. And a fast website has a great user experience. A slow website can make your users frustrated and make it hard for them to schedule. There are a handful of things that can contribute to a slow website. Some of those things might be images or videos. Maybe you’re loading a carousel on your home page. Maybe you have a social media widget in your footer which loads a lot of unnecessary images or videos. 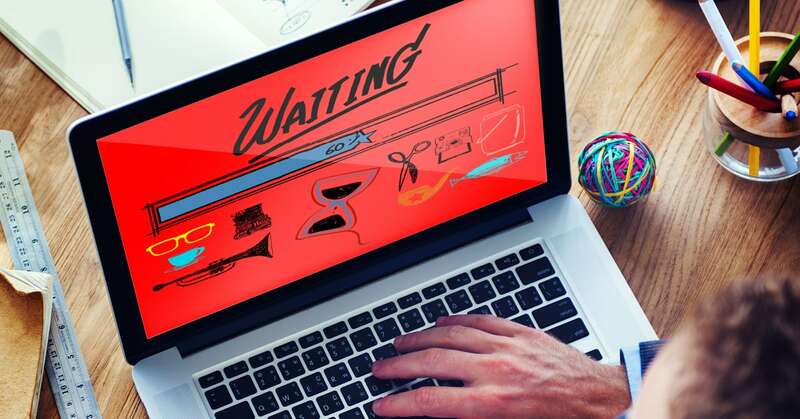 All of these things can make your website slow. And setting a budget for yourself lets you understand how those things are contributing to your website. Does your dental website load in 3 seconds or less? Danny: 01:12 A great place to start when determining your performance budget is a website that loads in less than three seconds and is less than three megabytes in size. There are a lot of handy tools out there to help you test where your website’s at already or where your development site’s at as well. We recommend using a website like http://www.webpagetest.org or tools by Pingdom to help determine what your page speed is now and help you decide what elements you could cut to make it be a little bit faster. Danny: 01:38 The next thing I want to talk about is optimization. And when I say optimization, I don’t mean title tags and meta descriptions. I mean optimizing your website for performance. There are a lot of things you can do as a non-developer to help make your website faster. Some of those things are minification, compression and utilizing tools and setting good habits for yourself when adding new content to your website. Danny: 01:59 Minification is the process of removing all unnecessary white space from your website files, making them smaller. There are a lot of tools to help you accomplish this. We recommend, if you’re on WordPress, using a plugin like Autoptimize which will remove all the white space, help your server deliver that file faster. Danny: 02:18 When uploading images to your website, we want to upload the highest resolution possible with the smallest file size possible. This is easily achieved by using the tool like ImageOptim or Photoshop, if you have it available to you. Uploading the smallest file size possible makes it easy for your website to cache those files and makes it easy for your server to deliver them. Danny: 02:39 The last thing I want to talk about in optimization is just developing good habits. Whether you’re uploading new content, building new pages or just adding content to your blog, be mindful of your performance budget. And use the tools we’ve talked about earlier in our optimization section to help you measure your website and keep it under budget. Danny: 02:57 The last thing I want to talk about is caching. And the reason I’m talking about it again is because it’s incredibly important. It’s also relatively easy for the average non-developer to implement caching on their website. There are a lot of great tools like WP Super Cache or Autoptimize that can help the non-developer implement caching on their website without much hassle. And caching, as we talked about in our last video, is when your server or your user’s browser stores a copy of your website file to make it deliver faster the next time they ask for it. Danny: 03:30 I firmly believe that website performance and page speed are incredibly important to your dental SEO. I encourage you, when building your new website or optimizing your old website, to be mindful of your performance budget. And, as always, if you have questions or you want to find out how your website’s doing, please feel free to contact us via our website or social media channel of choice. Thanks for watching.